David and Alicia Ralston enjoying 8th Street between Idaho and Bannock. 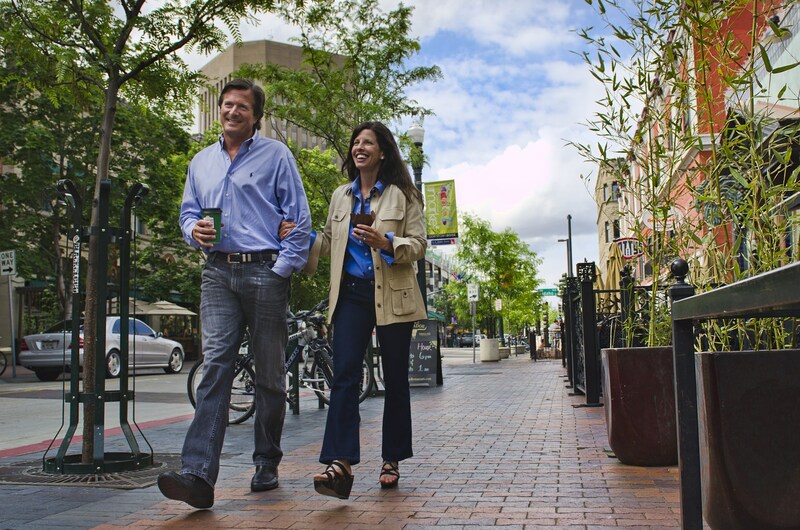 Boise’s 8th Street downtown is home to our Saturday Farmer’s Market and many great restaurants, coffee shops, and boutiques. You won’t regret getting to know local business owner “Marisa” at Sage Yoga. When you visit Bittercreek Ale House or Red Feather ask to speak to the owner about how they practice sustainability – great stuff. And don’t miss Chef + Owner John Berryhill’s restaurant BACON at 9th & Idaho. Enjoy!